Out of stock since Wednesday, 7 November 2018. Due back soon. Gold Label Show White Powder is a safe and non-allergic whitener which can be used on the socks and blazes of show animals. Easily washed off with warm water but will not come off in the rain. Ideal for shires and heavy horses’ feather. 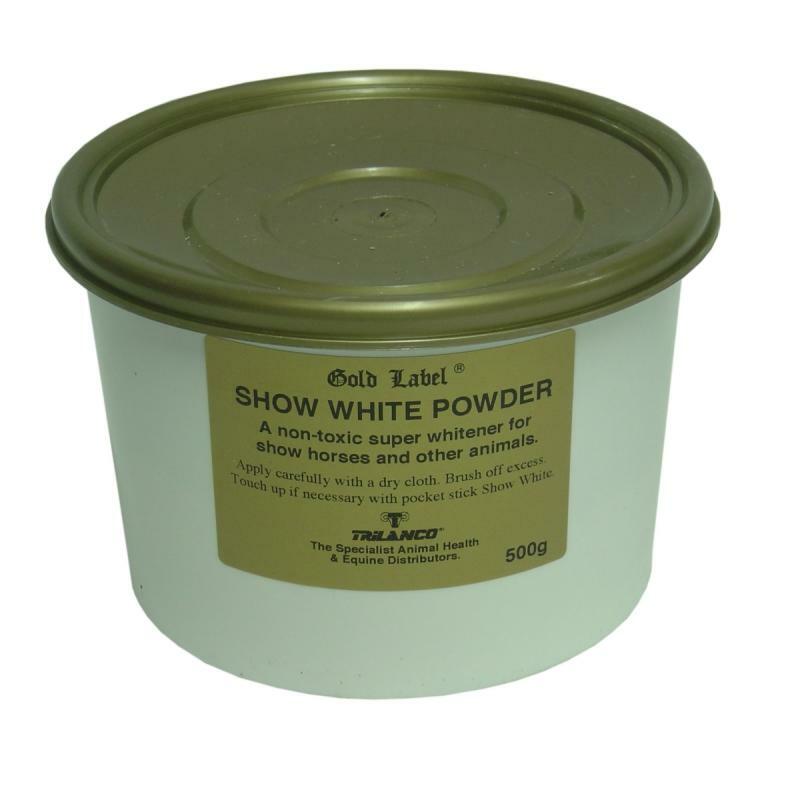 There are currently no questions for Gold Label Show White Powder for Horses - be the first to ask one!